If you have read the About section of this website I mention going to an Oktoberfest event the week after I returned from Munich. 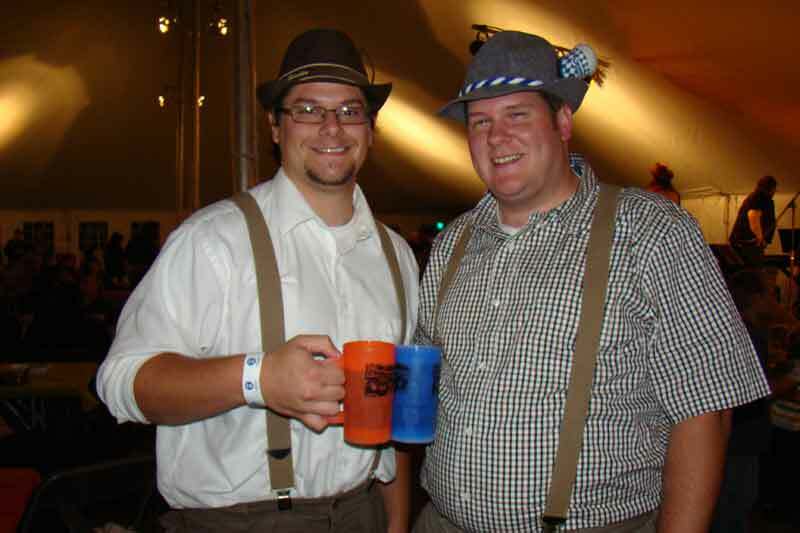 The event I attended was the 2010 Naper Settlement Oktoberfest. 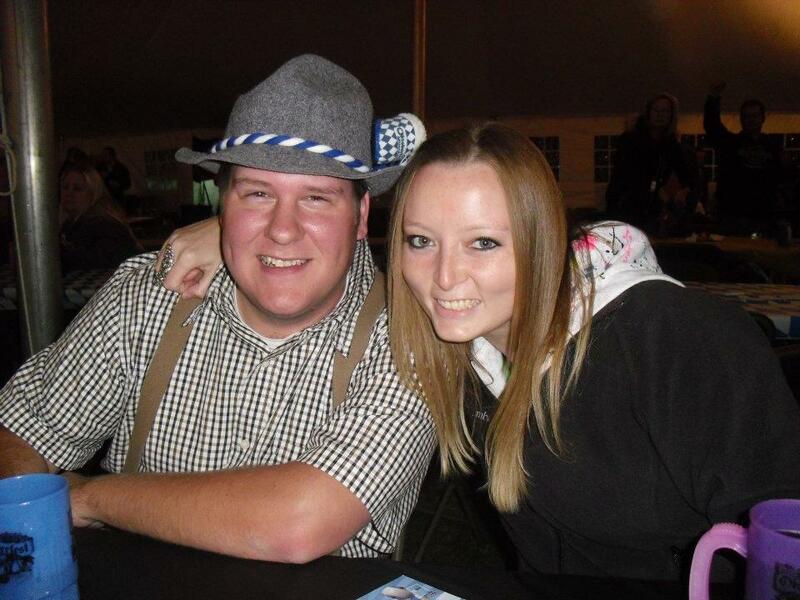 I am happy to report that the 2011 Naper Settlement Oktoberfest was much better than in 2010. I went to this year's event with lowered expectations because of my previous disappointment. My father and I went on Friday and arrived only a little after they opened. I purchased my tickets in advance online for $8 and they had a guestlist at the ticket booth which made it easy to get into the event. The event is featured on the grounds of Naper Settlement and like most Oktoberfest celebrations was inside a big tent. The smell of German food was a great sign upon first walking in. My Chef Catering provided the food. I had a pretzel and bratwurst. The prices were reasonable but were even better towards the end of the night when items went on sale 50%. To wash down the food Schamberger Brothers distributor offered two authentic beers, Spaten and Hofbräu Oktoberfest. Beer was $6 but for $4 you could get a commemorative mug and receive $1 off beer refills. Sadly though, the mug was only 16 ounces and not a liter. This became a slight problem later on in the evening when beers started going down too quickly and I had to keep getting up to get a refill. For entertainment, I was happy to be greeted by the German oompah band Die Musikmeisters upon first walking up to the event. Unfortunately, they only performed for two hours and that was the end of German music. The Almost Brothers and Prodigal Son were entertaining but from here on out the event seemed more like a fall festival rather than an Oktoberfest. Luckily, the beer was freely flowing and my friends and I were having a good time which in the end is really all that matters. Parking for the event is rather abundant. Naperville Central High School had a home football game that evening which made things a little more difficult but we didn't have to worry about parking because we were dropped off. Overall, I am happy with the improvements from 2010 and I hope that they improve even more for 2012 when I return.